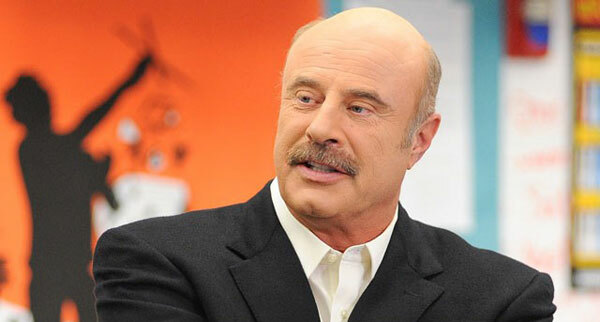 Philip McGraw who is an American television personality, author, psychologist and the host of the show Dr. Phil that made its mark in 2002 was born in Vinita, Oklahoma on September 1, 1950 to Jerry and Joe Mc Graw. He had two older sisters whose names were Deana and Donna and a younger sister by the name of Brenda. His father was an equipment supplier and he mainly grew up in the oil fields of North Texas. However, his family later moved during Mc Graw’s childhood and his father dreamt of becoming a psychologist. In Overland Park Kansas, Philip attended Shawnee Mission North High school. At the University of Tulsa, he was awarded a football scholarship where he played middle linebacker but unfortunately on November 23, his team was defeated by the University of Houston. Phil’s coach Glen Dobbs retired after that and thus he was shifted to Midwestern State University in Wichita Falls, Texas. In 1975, Phil McGraw graduated with a Bachelor of Arts psychology from the Midwestern State University. In 1976, he acquired a Master of Arts in experimental Psychology and in 1979, he earned a doctor of Philosophy in Clinical Psychology from the University of North Texas where he submitted a dissertation titled as “Rheumatoid Arthritis: A Psychological Intervention”. After much ado, he was guided by Frank Lawlis for the doctoral program who eventually also became a regular contributor of psychology to the Dr. Phil television show. McGraw later joined his father in Texas and became a part of his father’s clinic after acquiring his Ph.D.
Phil McGraw and his father presented “Pathways seminars” in collaboration with Thelma Box, a successful texas businesswoman in 1983 to provide training that basically allows individuals to create their own results. Majority of the critics were of the view that Phil and his father had used the same terminologies, phrases and quaint sayings in the seminar that were created by Thelma Box and Dr. Phil had also used them during his show and the Oprah Winfrey show. Phil McGraw on the other hand maintained that his first best seller i.e. Life Strategies was taken from the Pathways seminar although he had never made any contribution to Box in either his TV shows or books. After eight years, McGraw signed an agreement to sell the Pathways Seminar Stock for $325,000 without informing his father or Box about it. Box after that founded her own seminar titled as “Choice”. In 1990, Phil McGraw had celebrity attention when he made an appearance on Oprah Winfrey show. He has also drawn considerable criticism for his approach to psychology. On October 22, 2003, he announced the formation of Dr. Phil foundation that raises funds to fight child obesity. The foundation also supports other charitable organizations.
" Phil McGraw," FamousPsychologists.org, https://www.famouspsychologists.org/phil-mcgraw/ (accessed April 26, 2019). Phil McGraw [Internet]. FamousPsychologists.org; 2014 [cited 2019 April 26]. Available from: https://www.famouspsychologists.org/phil-mcgraw/. Phil McGraw, https://www.famouspsychologists.org/phil-mcgraw/ (last visited April 26, 2019).